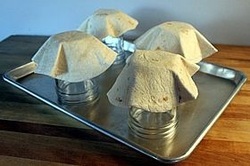 Corn or flour tortilla bowls are a fun way to use your favorite taco fixings. Below are several ways to make different size bowls in your oven for a healthy way to make dinner easy and different. •	flour tortillas (6-10 inches in diameter; 8" recommended for meal-size taco bowls, 10" recommended for salad, 6" recommended for appetizers). 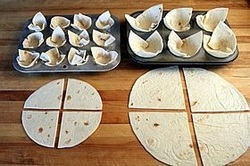 If you prefer to use corn tortillas they can be used with the upside down muffin pan for the perfect size of bowl. 3. inverted canning jars -- coat outside of jars with cooking spray; press tortillas around outside of jar; bake for 14-16 minutes or until evenly browned. 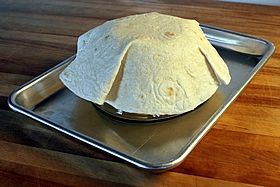 4. regular muffin tins -- cut 10" tortillas into quarters. Press tortilla pieces inside muffin tins; bake for 12-15 minutes or until evenly browned. 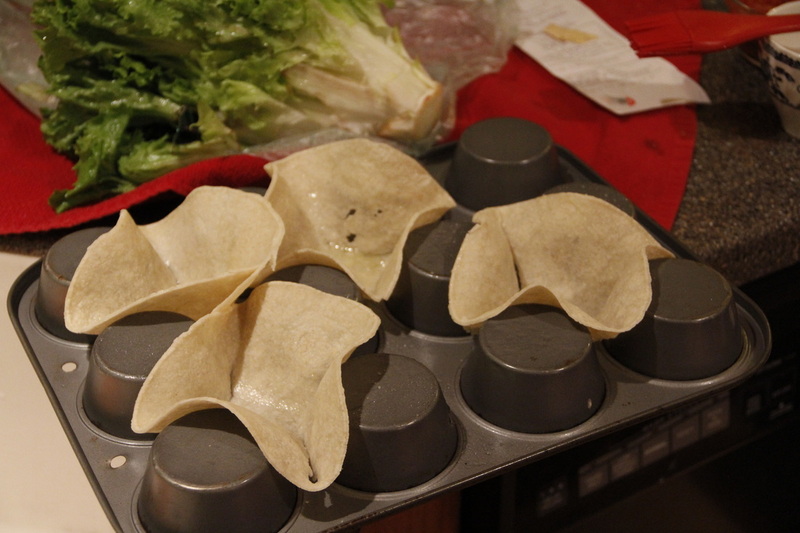 5. mini muffin tins (appetizer size) -- cut 6" tortillas into quarters. Press tortilla pieces inside muffin tins; bake for 12-15 minutes or until evenly browned.